This evening I went to the illustrators group at Just Imagine to see a talk by the amazing Walker Books Team. Was so interesting, and really inspiring too, we heard about how they find illustrators and team them with writers and just the whole process of making a book really. Got to look through some of their new books too which was pretty exciting, they've published some of my favourite childrens books, so was so pleased to be there. I definitely have few more book purchases that I have to make very soon! Anyway the brief set at the last group was to design a banner for a book. 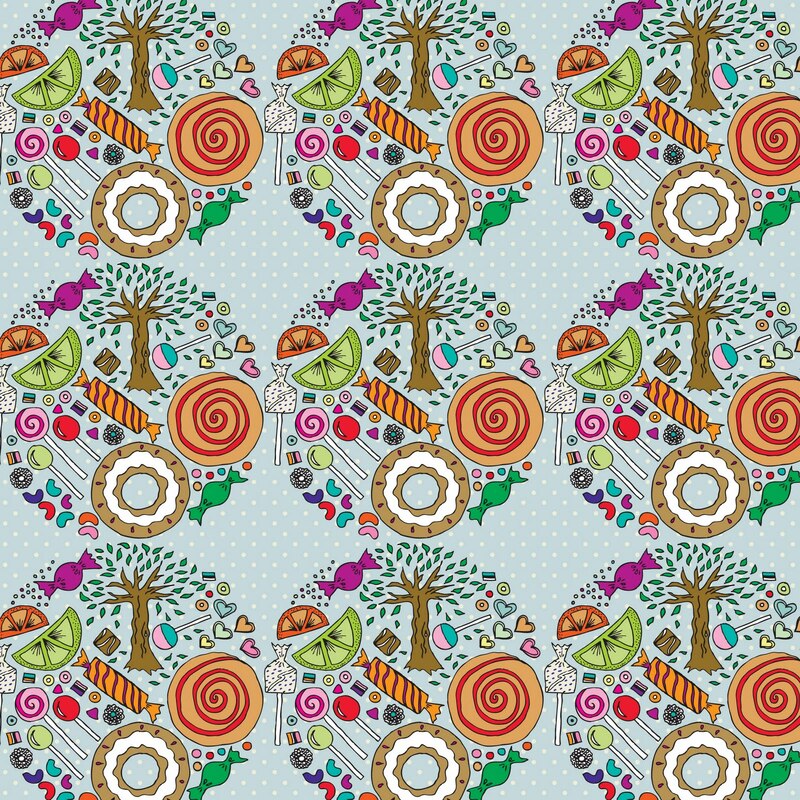 I decided to do Hansel & Gretel, which was really fun to draw with all the sweets! The format for the banner had to be long and thin, and I thought this really lent itself to being like a chocolate bar. In the end we didn't show our designs this time, which I was really glad about - think I'm going to play around with a few other ideas. 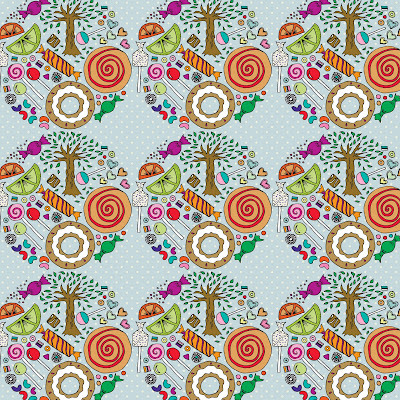 I don't mind this one, but really feel that I've focused too much on the pattern - how could I not?! Anyway, might try to get out of my comfort zone a bit for the next one and got for a more illustrative feel. What do you think? I think it is totally awesome man!! !